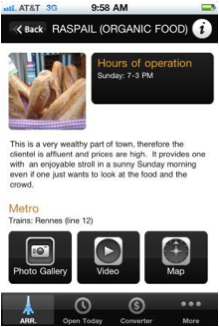 Award-winning film director Kit-Yin Snyder has created a fun, informative iPhone App – Paris Food Markets. 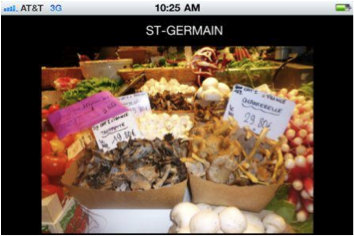 Easy to use – just tap on the Paris Arrondissement map to display the food markets in that locale. We always look for Apps that do not need Internet access, so you will not incur data roaming charges while traveling, and this is one of those Apps. 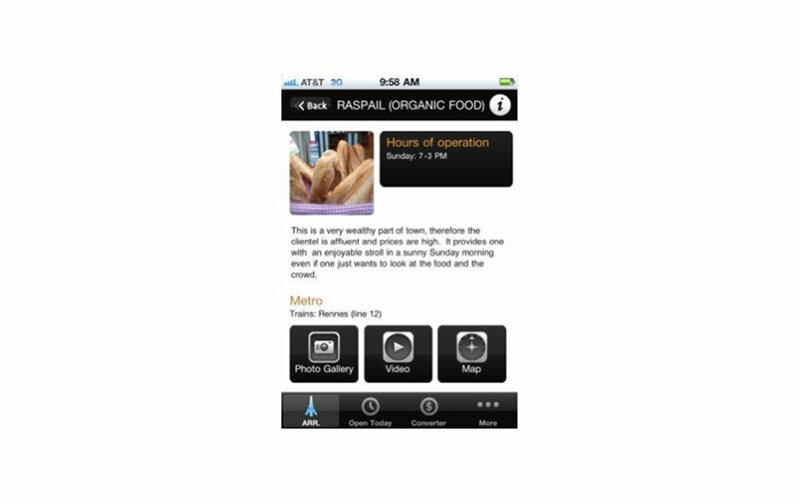 The app displays an overview of each market, days/hours of operation, metro stops, along with colorful photo slideshows and videos. 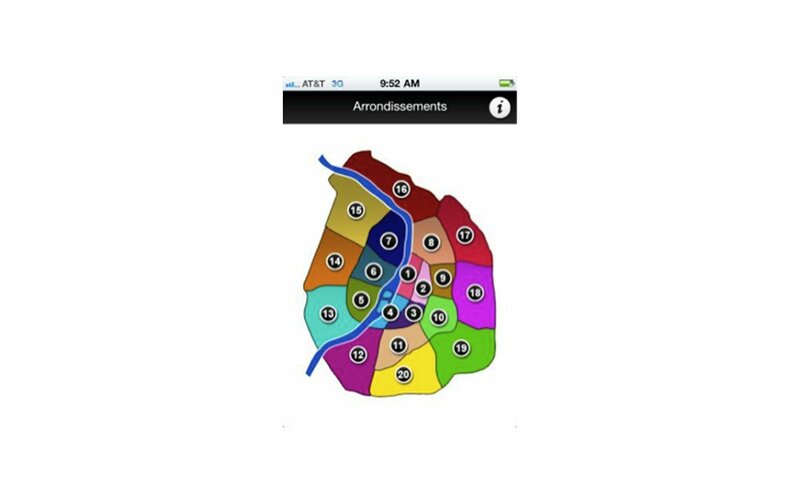 We like the notes included which gives you a feel for neighborhoods and prices. You can also display a list of “what’s open today”. 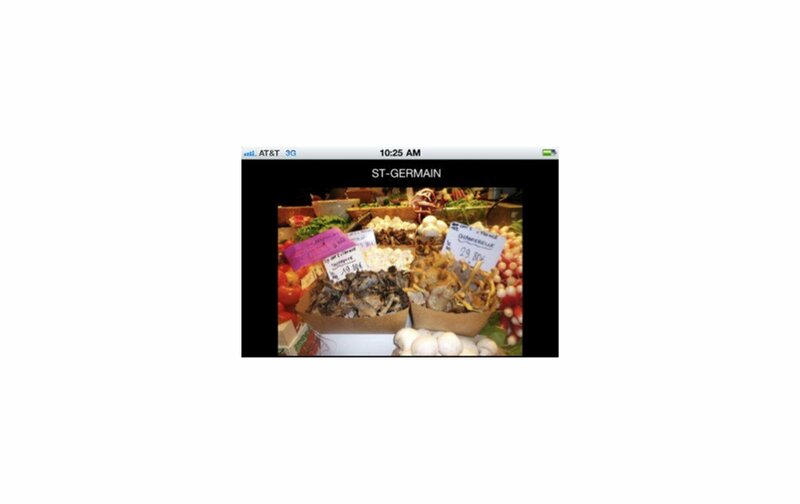 More information about the App can be found here http://www.parisfoodmarkets.com While it’s not a free app, the price is reasonable at $2.99. NEXT: The Apprentice TV Show — Why is it Banned in France? 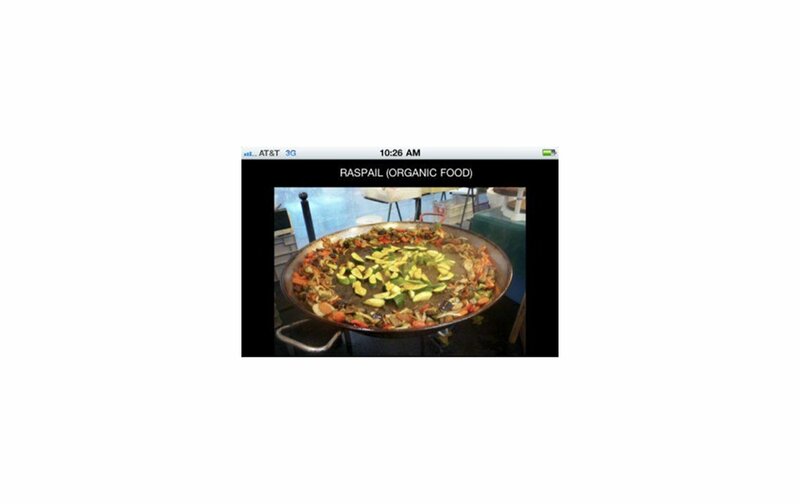 Posted on Friday, May 13th, 2011 at 11:39 am in Food & Drink. You can follow any responses to this entry through the RSS 2.0 feed. You can leave a response, or trackback from your own site. Love reading your blog. 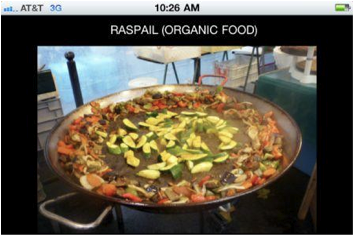 Have added it to my blogroll – hope you don’t mind. Look forward to seeing you at ‘I Know A Little Place: Paris’. I downloaded this app after reading your review. The app is well designed and a great idea. Unfortunately the restaurant listings are minimal. 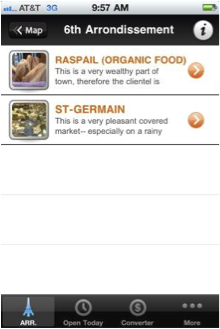 We are staying in the 4th Arrondissement next week and there is only one listing for the area. 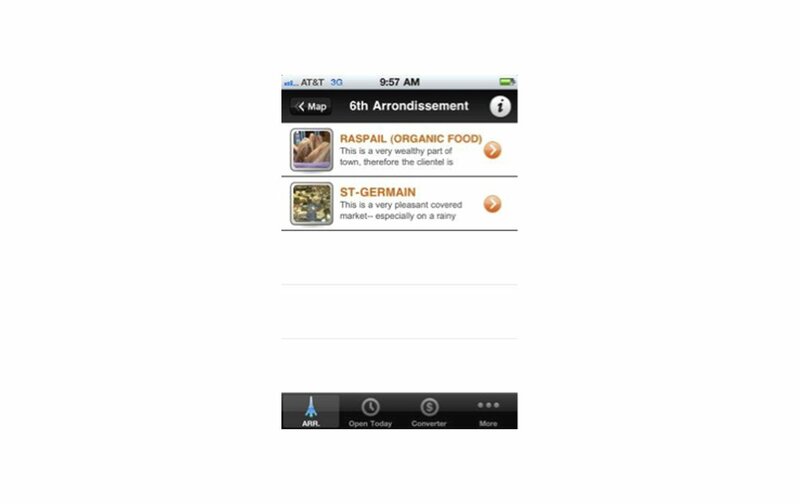 I hope the publishers will quickly add more restaurants to make this app what it should be. Thank you, I have recently been looking for information approximately this topic for a while and yours is the best I’ve found out till now. But, what concerning the conclusion? Are you positive concerning the source?